Work in teams of 2. 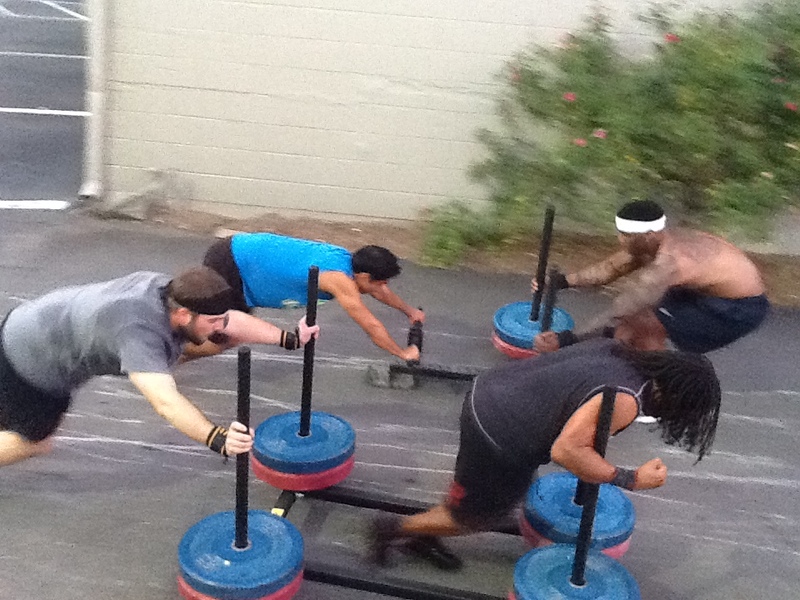 While 1 partner v-ups, other holds chin-over-bar. Switch as needed. I did 100 V-UPs, no partner, with a max-hold chin over the bar after each set of 20. 9:?? Then Joy 2.0 and I did the partner wod in 11 minutes. She did one extra V-up. Thanks, partner! 6:40 at 105lbs. I think it’s about 15 seconds slower than when I did it in August with 95lbs, so I’ll take it. Also, Britney killed this WOD — especially the cleans. Holy Schmoley! Then David and I did the v-ups in 6:40. Rough after-WOD.